1. 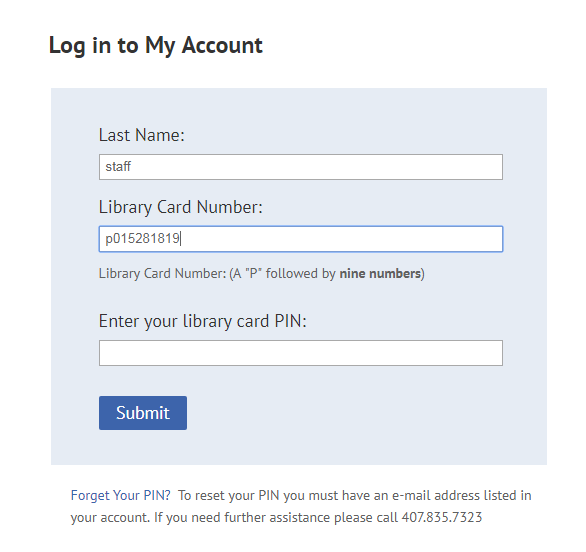 To set your PIN, go to "Log in to My Account" at www.ocls.info and enter your last name and card number. 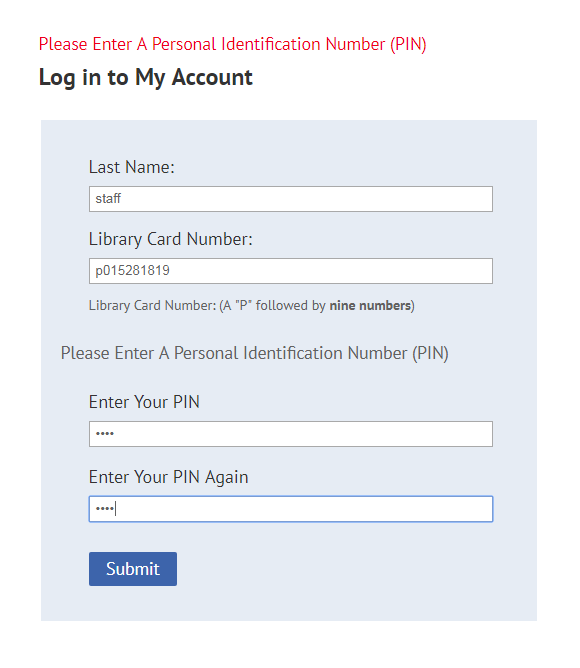 Leave the PIN field blank. Submit this information. 2. If you do not have a PIN you will be asked to enter one.